More than 1,700 children and the surviving spouse of a military member will gather Dec. 8-12 in Orlando, Fla., for five days of activities, fun and healing. This free program, known as Snowball Express, recently became part of the Gary Sinise Foundation, a nonprofit known for its work serving and honoring America’s defenders, veterans, first responders and their families. And this year the trucking industry is pitching in to lend a hand. “For us, I think it gave us the opportunity to meet other kids, families. It brought happiness and joy back … that time of year was always really, really difficult for us,” Rebecca Audo said. She is the widow of Maj. David Audo, who died in Baghdad on Oct. 27, 2009, after serving deployments in Afghanistan and Iraq. The Audos have two children, Austin, 18, who has aged out of the program, and Ashley, 16, who is eligible to attend until she graduates from high school. American Trucking Associations’ America’s Road Team plays an important part in getting everything where it needs to be. Snowball Express began in 2006, with a letter written by a soldier to his wife, to be opened only should he die in battle. While the letter expressed many things, one wish was that they visit Disneyland in Anaheim, Calif. From that letter, Snowball Express was created by a group of volunteers to bring together the children and spouses of fallen U.S. military heroes for a healing retreat. Now that Snowball Express is an official program of the Sinise Foundation, these families will, for the first time, unite at Disney World in a way that honors that initial letter from the fallen soldier. In addition, families will have direct access to complimentary resources such as counseling services, application support for educational scholarships, education and access to medical and government benefits, financial counseling and assistance, mentoring and aid for those with special needs or disabilities. 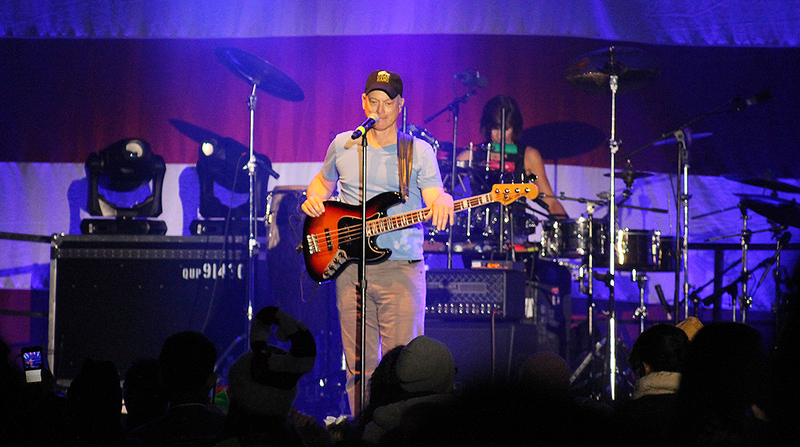 Snowball Express will offer a variety of activities and entertainment, including a concert by Gary Sinise and the Lt. Dan Band. For several years, the annual event was held in North Texas. But when it became a program of the Sinise Foundation in January, it was decided to move the event to Florida in 2018. There were several challenges with the move, but one that the trucking industry could help solve was transporting the items that are used during the festivities from Dallas to Orlando. It was almost a full truckload of logistical supplies, including signage and material used to set up the command center. A nearly full truckload of items left Dallas on Nov. 14 with America’s Road Team Captain Stephen Richardson of Big G Express in Shelbyville, Tenn., behind the wheel. Richardson made the nearly 1,100-mile trip in two days and dropped the material at Disney World, where it will be ready when the guests arrive. He established the Gary Sinise Foundation to help veterans, first responders and their families. For Audo and hundreds of widows like her, Snowball Express has helped her family see a side of America’s generosity that makes her proud. “Being able to look forward to going to Snowball, it just made the kids able to have fun with other kids who shared the same pain as them,” she said. As for Richardson, this cross-country trip is the perfect way to start the holiday season.